Schemin' and stealin' to the end. 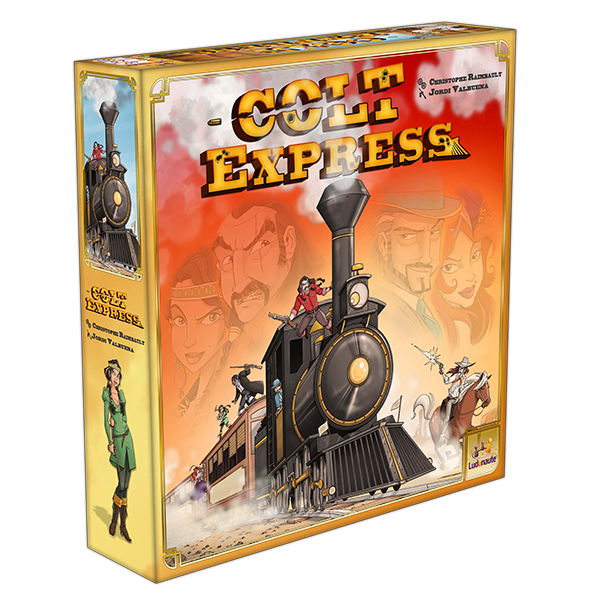 In Colt Express, you play a “desperado”, who attacks a passenger train. No mercy, no possible alliance: between the cars, on the train’s roof, bullets come from everywhere. The out-laws are injured. 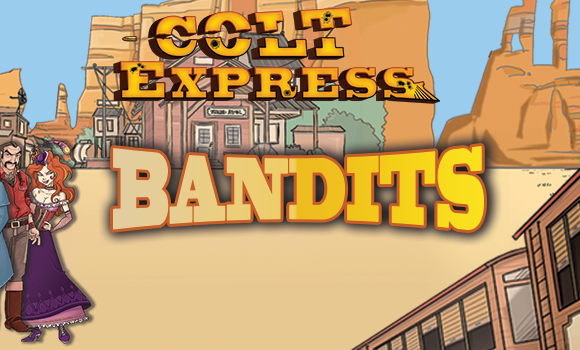 The Marshall patrols the train, thwarts the plans of the bandits. He is an additional threat in this extraordinary project. Who will become the best gunslinger? 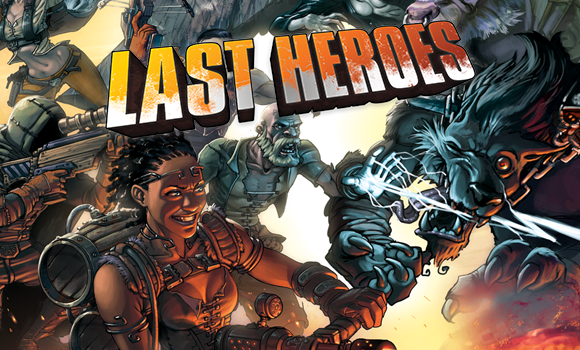 Who will get the greatest share of the loot? Each character has his own personality but, at the end of the day, they all have the same goal: to get the biggest slice of the pie in robbing the passengers. A game goes in 5 rounds. performing those actions played during the first step. 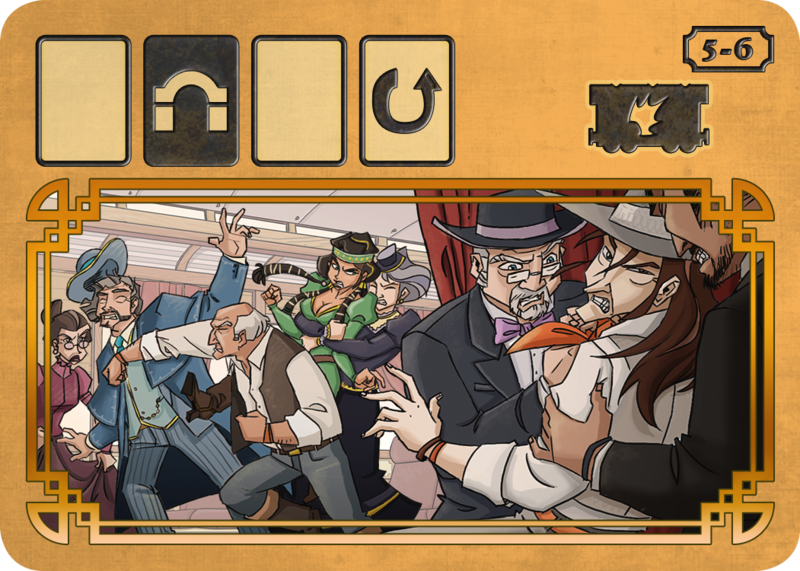 One Event card is drawn at the beginning of each round. 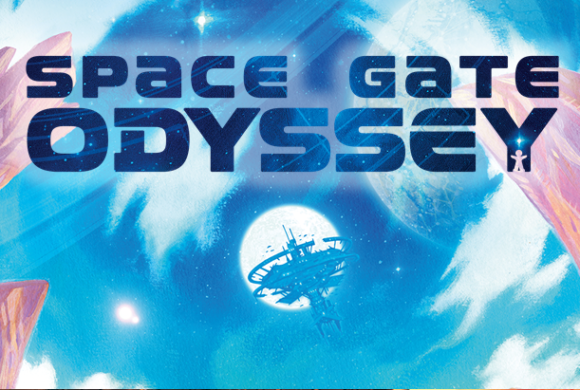 It shows the number of turns there will be during the first step as well as the way the cards are to be played. Moving the Marshal. When he meets a bandit, the latter flees to the roof and receives a shot (bullet from the Marshall). When a bandit is shot by another one or by the Marshal, his player gets a Bullet card. 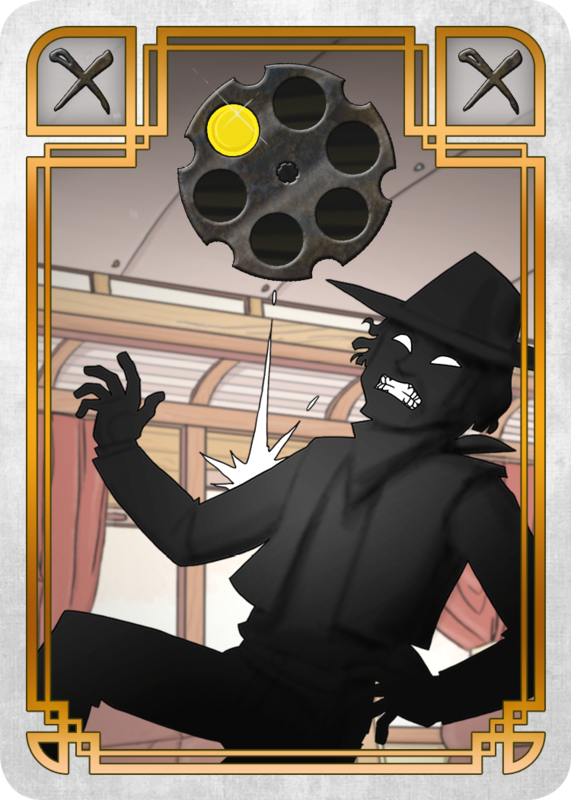 He adds this Bullet card to his Action cards deck. These cards are useless ; they set you back. each player counts his loot. The outlaw who shot the most becomes thegunslinger and wins $1,000. The richest outlaw wins the game. 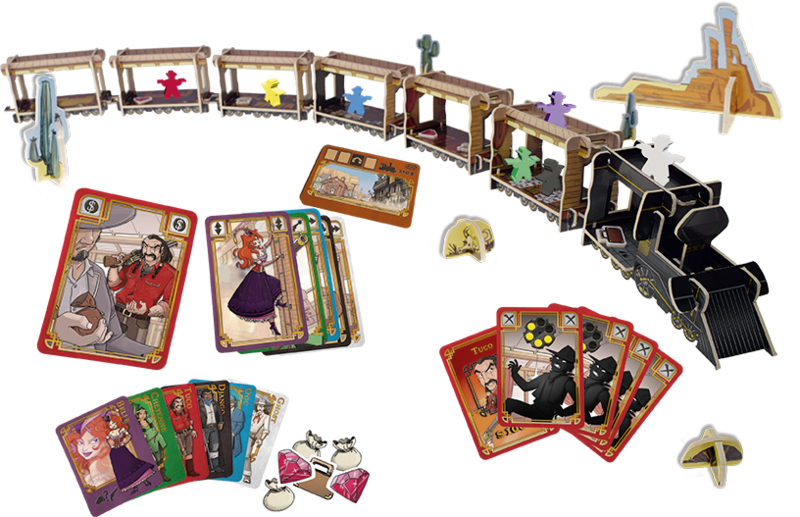 Original components for a game with lots of twists and turns in hilarious gameplay 100% Western.